Late last year we showed you the updated – a series of tuned, Yenko branded Camaros based on the 2019 SS 1LE. Now one of these rare Yenko Camaros, which are built by New Jersey’s Speciality Vehicle Engineering, has been added to the docket for Barrett-Jackson’s Palm Beach 2019 sale later this month. 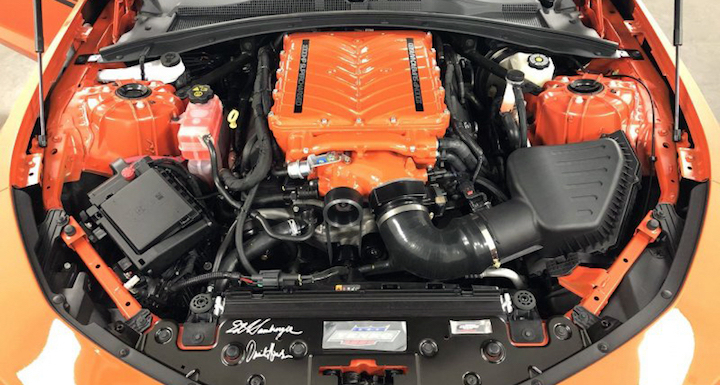 The car in question is an Orange Crush 2019 Camaro Yenko S/C Stage II, which features a supercharged version of General Motors’ . The engine, which has also been bored and stroked to 6.8-liters, makes a claimed 1,000 hp in the car. Just 25 2019 Camaro Yenko S/C Stage II cars will be built, and this just so happens to be the first one to have rolled off SVE’s production line. It also has just 25 miles on the odometer. As we mentioned previously, the car is based on the 2019 Camaro SS 1LE, so there are at least some factory suspension upgrades to back up that 1,000 horsepower motor. If you need a refresher, the 1LE package includes performance tuned suspension, Magnetic Ride Control, an electronic limited slip differential and Recaro seats, among more. 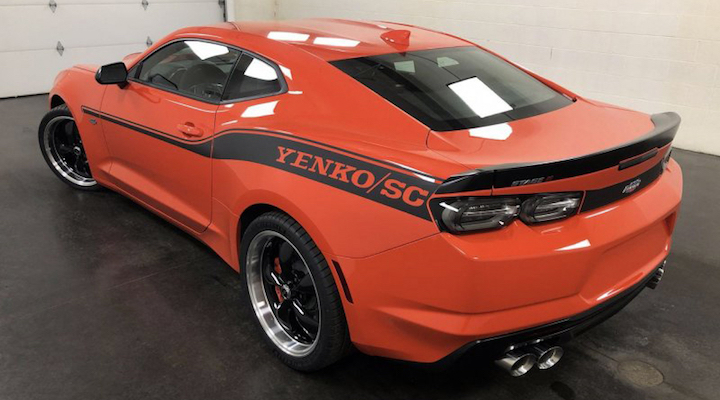 It’s not clear how much the seller expects to get for this car, but according to the listing, the Yenko S/C Stage II package adds $66,995 on top of the original price of the 2019 Camaro SS 1LE, which starts at just under $45,000. Check out the listing for additional information and photos.